Update: This roundup is now scheduled to begin after Sept. 15, 2017. Public comment is due Aug. 10 on the Bureau of Land Management’s plan to capture and remove 1,560 wild horses from three herds in southwest Wyoming’s Checkerboard region. Written comments are due Aug. 10, 2017. All comments submitted via email should be sent to: blm_wy_adobetown_saltwells_hma@blm.gov with “2017 AML Gather EA” in the subject line. Comments may also be mailed to: BLM Rock Springs Field Office, 2017 AML Gather, 280 Highway 191 North, Rock Springs, WY 82901. BLM is considering re-releasing a portion of the wild horses captured that would include 315 mares treated with the fertility control vaccine PZP. BLM allows private cattle, sheep and horse grazing on the three HMAs equal to 149,962 Animal Unit Months. An AUM is defined as the use of public land by one cow and her calf, one horse, or five sheep or goats for a month. According to BLM, livestock use has been at 39% of permitted levels between 2008-16, with voluntary reductions, in part because of drought. The Checkerboard is an unfenced region alternating blocks of public and private or state land. The proposed roundup would take place over a combined 1.7 million acres of public land and 731,703 acres of private land. 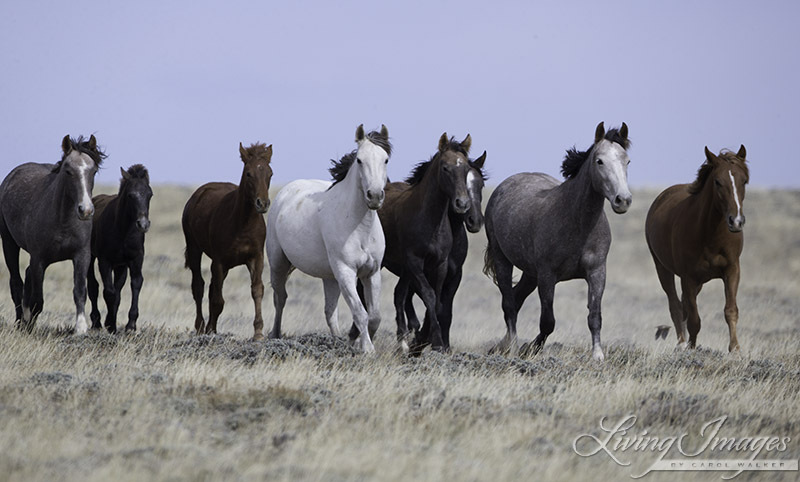 Return to Freedom joined fellow wild horse advocacy organizations as a co-plaintiff in the case. The appeals court’s ruling resulted in the cancellation of a planned fall 2016 roundup in the Checkerboard, also based on the agreement with the grazing association.